Hello fellow book lovers! And hello February.. I don’t know about you guys but I’m forever seeing books whilst browsing online or in a bookshop and then as soon I finish my current read and I want to start a new one I get a complete mind blank . So one of the strategies I’ve been using for the past year so is keeping track of all the books I want to read in Goodreads and compiling a reading list every few months or so (you can read my other ones here!). 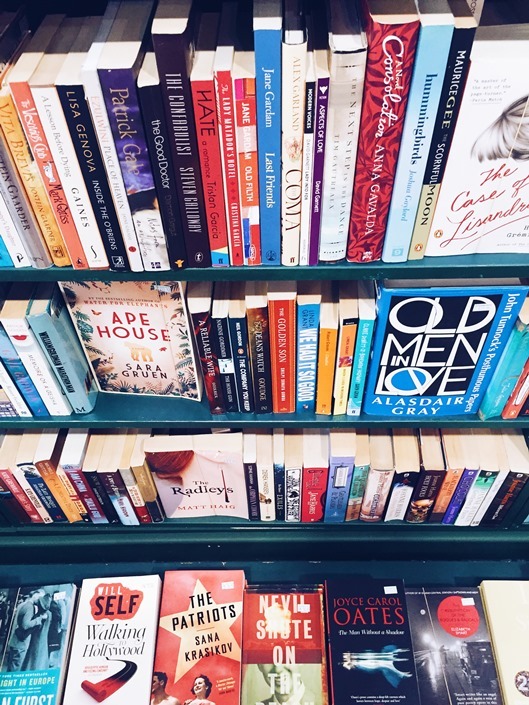 It’s one of the fail-safe ways that I can boost my reading and also reduces decision fatigue when I’ve got a million things on and just want to dive into a new book for a bit of escapism. My to-read list is pretty long this year so I’ve narrowed to a few books (well twelve) and as you’ll see I’ve ended up with a bit of an eclectic mix. On the list is some modern fiction, a historical novel or two and a couple of murder mysteries, all finished off with a few non-fiction books at the end that I really can’t wait to get my hands on. I absolutely love books set in the deep south and I also enjoy a good murder mystery, so Where the Crawdads Sing has gone straight to the top of my list! It’s also a #1 New York Times bestseller and is rated 4.5/5 on Goodreads so I can’t wait to read it for myself. I’m currently reading Kristin Hannah’s bestseller The Great Alone and it’s a page turner! She’s a wonderful writer so I just had to include another one of her novels on my list this year. Jacquie Red Feather is newly sober and hoping to reconnect with her estranged family. That’s why she is there. Dene is there because he has been collecting stories to honour his uncle’s death, while Edwin is looking for his true father and Opal came to watch her boy Orvil dance. All of them are connected by bonds they may not yet understand. All of them are here for the celebration that is the Big Oakland Powwow. But Tony Loneman is also there. And Tony has come to the Powow with darker intentions. There There is the first novel by native american author Tommy Orange and tells the story of twelve Urban Indians living in Oakland, California. It’s a subject matter I’ve never read anything about or explored before so I’m really excited to get my hands on a copy. This isn’t the kind of novel I’d normally go for, but the blurb really has me hooked! I’ve been meaning to read The Hate U Give for AGES now, after seeing it take the top spot on the Goodreads choice awards three years in a row so it’s definitely one of my top choices for 2019. This one was on my spring reading list but I still haven’t got my hands on a copy. Now that the paperback version has been released though this one has gone straight into my Amazon basket! Less sounds like it has everything I like in novel; travel, humour and a strong protagonist so I’m excited to put this one on my reading list this year. I like a lighter read for when I’m travelling, and with a trip to the UK on the horizon I’m going to save this one for the plane. Havana, 1958. The daughter of a sugar baron, nineteen-year-old Elisa Perez is part of Cuba's high society, where she is largely sheltered from the country's growing political unrest--until she embarks on a clandestine affair with a passionate revolutionary . . . 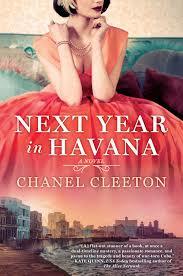 I love books that transport you to another place and time so I hope Next Year in Havana takes me straight to 1950s Cuba. Historical Fiction is a genre that I really enjoy so I think I will love this one! In the house of Helios, god of the sun and mightiest of the Titans, a daughter is born. But Circe is a strange child--not powerful, like her father, nor viciously alluring like her mother. Turning to the world of mortals for companionship, she discovers that she does possess power--the power of witchcraft, which can transform rivals into monsters and menace the gods themselves. Threatened, Zeus banishes her to a deserted island, where she hones her occult craft, tames wild beasts and crosses paths with many of the most famous figures in all of mythology, including the Minotaur, Daedalus and his doomed son Icarus, the murderous Medea, and, of course, wily Odysseus. This is really not a book a would normally ever go for, but reading Donna Tartt’s The Secret History recently has peaked my interest in all things Greek mythology; I’m excited to try a genre that’s completely new to me. 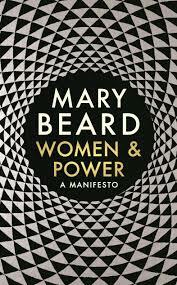 Britain's best known classicist Mary Beard, is also a committed and vocal feminist. With wry wit she shows how history has treated powerful women. With examples ranging from Medusa and Athena to Theresa May and Elizabeth Warren, Beard explores the cultural underpinnings of misogyny, considering the public voice of women, how we look at women who exercise power, our cultural assumptions about women's relationship with power, and how powerful women resist being packaged into a male template. As a cultural studies grad I’m really interested in the intersection of history, culture and the place of women throughout within society so I think Women & Power will be fascinating. This one is a must-read for me! If you know anything about me, you’ll know that I’m a teeny bit obsessed with personality testing. 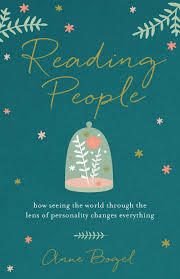 In her book Anne Bogel gives an overview of the different personality testing methods and how we can apply what we learn to our own lives, so I think I will really enjoy this one! It’s definitely on the lighter side, so another one that I’m going to pack for my holidays. This book popped up on my Instagram feed as it was January’s choice for Reese Witherspoon’s book club Hello Sunshine and I was instantly intrigued. 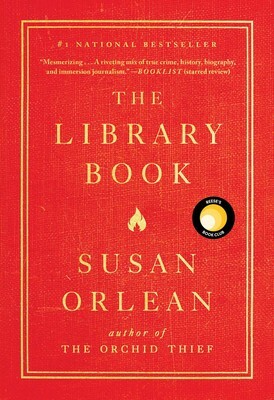 The Library Book is truly a book for people who love all things literary! Thanks for checking out my 2019 reading list. You can find past book lists and reviews here!